I love Wednesdays because they are knitting days. My good friend Marsha hosts a big knitting group called the Knit Wits in Rancho Santa Fe, California. Knit Wits is a thriving knitting circle with over 50 members and there's always a laugh to be had. We knit, drink a little wine and a do a lot of chatting. Knit Wits keeps me excited about knitting! 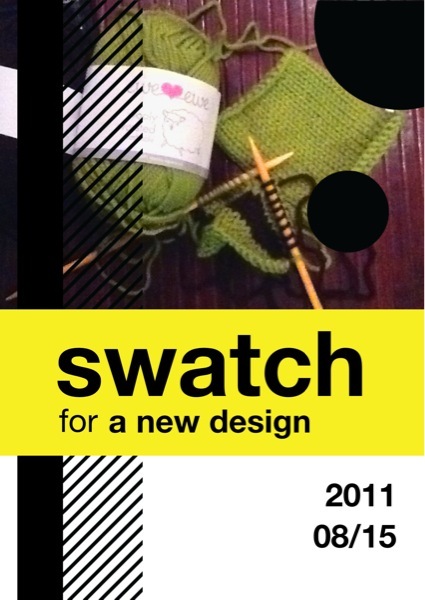 This week I'm working on a few swatches for a new design, I may even try submitting this one to a magazine. Wouldn't it be fun to see Ewe Ewe Yarns on some glossy pages? I think it would be!